We believe that reading in worship is a ministry to the community gathered in prayer, a service which is gift also to the individual reader. 4. Come, Holy Spirit BACK TO PRAYER Come, Holy Spirit! We pray that God's Word may penetrate our minds and our hearts, and so change our lives. We bring the reading consciously back to prayer, bearing in mind our first impressions and our insights from study. This is the moment when we look for the teaching which touches us personally. Even if this isn't always the case, it will happen a surprising number of times. Our prayerful wondering can move forward with different questions: Am I encouraged, challenged, affirmed by this reading? Does the reading touch my life? Perhaps one word "jumps off the page" for me? Is there a word for the community today? We should set aside some time later to pray the reading again and let this word of God be part of God's relationship with us and of ours with God. 2. The Starting Point...PRAYER Since reading in a setting of prayer is life-giving, it helps that we, as readers, don't treat the reading simply as a task, but rather, as a part of our relationship with God. Thus, it is good to begin, not with study or pronunciation, but in a spirit of prayerful reflection. This could be very simple - in an appropriate place and, perhaps, calling on the Holy Spirit to be with us. Then quietly and slowly read the passage, several times. The reader could choose from a variety of possible steps: does the reading evoke a personal memory? Is there a word that touches me deeply? What images or feelings are summoned up by the reading? What is my mood at present and what is the mood of the reading? 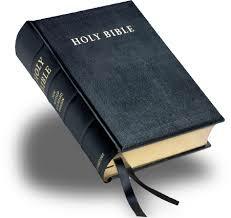 This mulling over should take some time, so that I come to the Word of God with my whole self. This involves checking again do I understand the reading? What is the overall sense of it? Are there difficult words in it? What is the mood - glad or sad, joyful or threatening..? Depending on the nature of the Scripture passage, different tones are appropriate. Other, even more practical, aspects are speed, audibility, eye-contact and the use of microphones. It helps when reading aloud to be aware of the key sentence or images that you wish to communicate. 3. Going a little deeper...REFLECTION As the reading progresses, it may be that there are things in the text which are unclear or upsetting or puzzling. Sometimes a word of explanation is needed to shed light on a story or teaching, within its own time and place, so that the Scriptures can speak today. The best approach here is to identify as well as you can your own questions and then seek help. Often, it is useful to ask some of the following questions: When and where was the passage written? What was happening at the time? How does the text fit into the book it comes from? Do we hear it differently today? Does the reading reflect a shared human experience? Sometimes the notes in your Bible will be helpful. Otherwise, some other resources could be used such as a small Bible dictionary or a commentary. There is also much helpful material on the Internet. The Bible Society can help you further too. i) Practice reading it aloud several times in the translation used in the church. Check pronunciation and work out where to take breath. If possible, ask a friend to listen to you. ii) See if you can get into the church during the week to find out what it feels like to read there - in a large place, you need to read slowly and distinctly. This may sound strange to you until you get used to it, but it really does help others to hear better. Take your friend with you. iii) If there is a microphone, don't stand too near it or there will be 'feed back' and don't stand too far away or it won't 'catch' you - get a moment to test it. It is someone else's responsibility to ensure that the microphone is there and working, not yours, so don't worry! If there is no microphone, it is even more important to speak slowly and clearly as if you are talking to that person at the very back of the church. Come, Holy Spirit, inspire my reading. Come, Holy Spirit, give me courage to read well. Come, Holy Spirit, help us all to listen deeply.